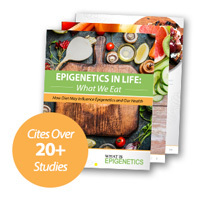 Epigenetically Reactivating a Compromised Immune System with a Specific Sugar | What is Epigenetics? Could a certain type of sugar undo the failure of an individual’s immune system? New research suggests that immune cells can be restored in those with a compromised immune system using a sugar known as beta-glucan, which can turn on an epigenetic “control switch”. For many, getting an infection, such as a sinus infection, feels like an intensified, prolonged cold. Bacterial sinus infections are often easily combated with antibiotics, but typically resolve on their own. However, for more than a million Americans every year, infections can be much worse, sometimes even deadly. Sepsis, or blood poisoning, is a complication that occurs when the body has an extreme, overwhelming response to an infection. The body’s own immune response injures itself by trying to fight the threat, leading to widespread inflammation that could severely damage organs and slow blood flow. If severe enough and left untreated, sepsis could lead to death. Even after treatment, the immune system of sepsis patients may be compromised for weeks or months after the episode, making it difficult for the body to respond to new infections. In this study, molecular biologist Henk Stunnenberg from Radboud University along with Mihai Netea, internist-infectiologist, and colleagues from Radboudumc discovered that this immune paralysis can be undone with beta-glucan at an epigenetic level. They applied an integrated epigenomic approach and performed a variety of techniques, such as chromatin immunoprecipitation (ChIP), whole genome bisulfite sequencing, ATAC-seq, RNA-seq, and ChIP-seq to assess the impact of beta-glucan on a compromised immune system. The team looked at epigenetic mechanisms such as DNA methylation and histone modifications, focusing especially on H3K27ac. Monocytes, a type of white blood cell crucial to defense against infection, differentiate into macrophages to fight microbes and invaders. According to a previous study, this differentiation can be controlled by environmental cues. When exposed to a molecule from specific bacteria known as lipopolysaccharide (LPS), monocytes morph into macrophages that are poorly equipped to fend off foreign cells, leading to immunosuppression observed in sepsis patients. However, the opposite effect occurs when monocytes are exposed to a sugar found in fungal cell walls, called beta-glucan. The group found that an epigenetic control switch of the immune system could be impacted by this naturally occurring polysaccharide. “By adding beta-glucan to blood samples of trial subjects with a disabled immune system, the macrophages were re-activated,” said Stunnenberg. Stunnenberg’s colleague, Mihai Netea, is curious about using beta-glucan to treat people with sepsis. “A clinical trial with patients is an obvious step for the near future. We could begin with blood samples of people who have been admitted to the ICU with sepsis,” he said. This new insight may even help researchers understand how to calm an overactive immune system, which could be the key to treating autoimmune diseases such as rheumatism, Crohn’s disease, and other inflammatory disorders. Source: Boris Novakovic et al. (2016). β-Glucan Reverses the Epigenetic State of LPS-Induced Immunological Tolerance. Cell, 167 (5): 1354. Reference: Radboud University. Compromised immune system can be re-activated. Radboud University. 17 Nov 2016. Web.